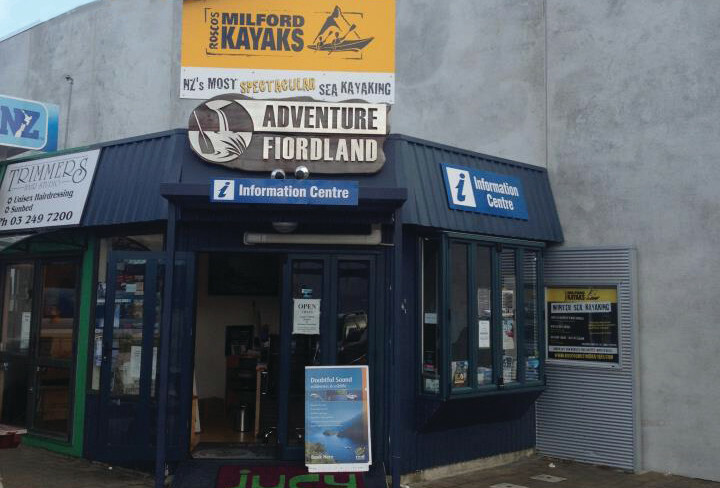 Fiordland's one stop information centre has been offering friendly professional service to visitors since 2001. Located in the heart of the town centre. Pop in & let us assist planning your visit to Fiordland. Full service information centre and cafe located in the heart of Milford Sound. We offer friendly advice, barista coffee and tasty lunches and snacks. Our staff are the local experts, and are happy to share their knowledge so you get the most out of your stay in Fiordland. 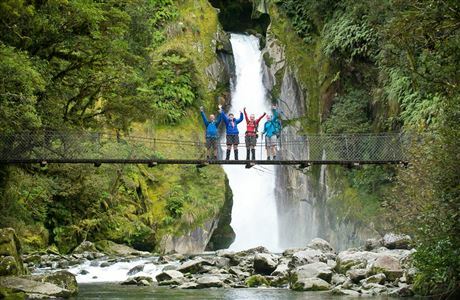 We can help you book activities and accommodation New Zealand wide, along with all our local attractions including Milford Sound and Doubtful Sound and the Te Anau Glow worm Caves. Come in and see the friendly team at Fiordland i-SITE today. Are you ready for your Fiordland adventure? Book a Great Walk - Plan a backcountry experience - Get the latest info on tracks, roads & weather - Fishing licenses - Hunting permits - Clean Gear Checks - Relax & watch the short film 'Stepping into Fiordland National Park'. PLUS: Gear & gifts to brighten your trip and local information served with a smile. For all the latest updates of conditions on the Milford Road go to www.milfordroad.co.nz. For all New Zealand Highway conditions see www.nzta.govt.nz/traffic or 0800 4 HIGHWAYS. The Southern Discoveries Information & Booking Centre on the lakefront provides local advice and bookings for Te Anau, Milford Sound & Doubtful Sound, Queenstown and beyond.